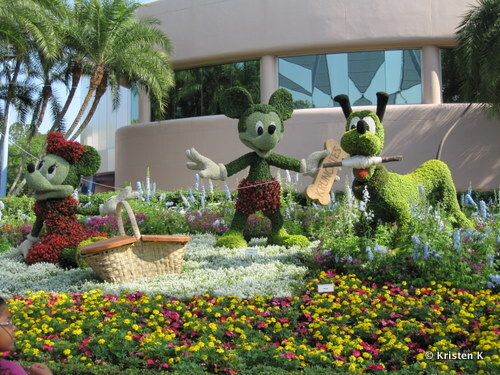 A Walt Disney World Vacation will be fun for your family no matter what time of year you chose to go. However Disney throws a party like no other, and with special events going on throughout the year, this most magical place is sure to have a little extra special treat just up your alley. Take a quick look at some of the most fabulous, bonus added vacation events in the world! runDisney Events – Disney has truly earned a name for it’s self within the running community as several times a year athletes and hobbists alike register and converge on the Resort for everything from 5K’s to Marathons. With Olympian Jeff Galloway as their honorary coach Walt Disney World has become one of the premier running destinations. 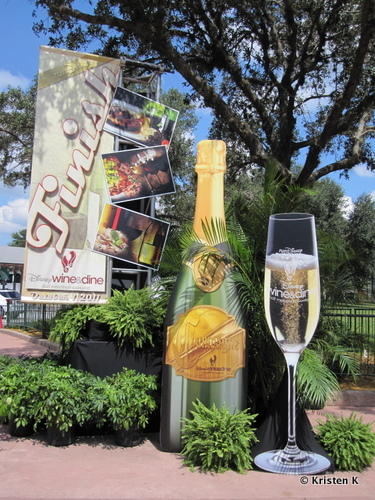 It all kicks of every January with the Walt Disney World Marathon Weekend. Epcot International Flower and Garden Show – Sponsored by HGTV this Springtime Festival is included in your park ticket and showcases the talents of the highly skilled Walt Disney World Landscapers, Gardeners and Florists. A special festival center is set up where you can sign up to participate in classes by world famous horticulturists or you can simply enjoy the added scenery around the park. March, April & May. Disney Hollywood Studios Star Wars Weekends – Included with your Hollywood Studios admission, on Friday, Saturday and Sundays in Late Spring you can celebrate everything Star Wars with thousands of fans from across the country and around the world. Join celebrities and characters for special shows, panels, presentations. Mid-May through Mid-June. 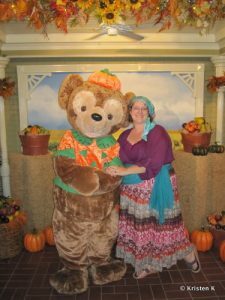 Mickey’s Not So Scary Halloween Party – The Magic Kingdom closes early on nights that this limited, after hours, hard ticket event is held during September and October. Guests are invited to dress up and trick –or-treat through the park during this fun Halloween adventure. Dance parties and one of Disney’s best parades are highlights of this event. Special dates in September & October. Epcot International Food & Wine Festival – This annual festival creates a playground for Foodies and Wine Lovers from all over with kiosks “featuring tasty tapas and refreshing beverages”, demonstrations, exclusive dinners, and an amazing music line up. This festival offers options both included in your park ticket and specially ticketed events. October through Mid-November. Downtown Disney Festival of the Masters – Held every November this show is an artist and art lovers dream. Dazzling displays of one-of-a-kind and limited-edition painting, photography, sculpture, jewelry and so much more are just a few of the highlights. One week in early November. Mickey’s Very Merry Christmas Party – The Magic Kingdom closes early on nights that this limited, after hours, hard ticket event is held during November and December. Guests experience special character meet and greets, parades, fireworks, hot chocolate, cookies and even snow on Main Street USA! Mid-November through December. This list is by no means exhaustive of all the special activities that Walt Disney World hosts throughout the year, but it does give you an idea of the kinds of activities you may be able to enjoy on your Walt Disney World Vacation. And you don’t have to choose just one! Some dates will combine with others, for instance you could attend the Festival of The Masters one day and get tickets for the Merry Very Christmas Party the next! Whether or not you choose to participate, knowing these dates can help you decide what time of year is right for you to take a spectacular Orlando vacation. Did any of these catch your eye? 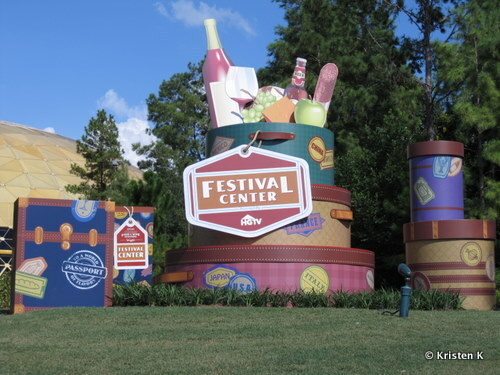 Food & Wine is one of my favorite times to visit. Which event sounds most exciting to you? Leave me a comment and let me know! This entry was posted on Monday, February 27th, 2012 at 5:00 am	and is filed under Planning, Theme Parks. You can follow any responses to this entry through the RSS 2.0 feed. You can leave a response, or trackback from your own site.